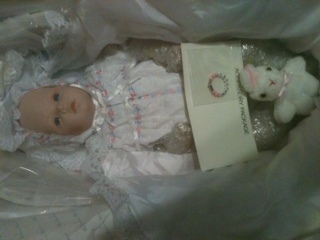 These collectible dolls are by Danbury Mint and are The Baby's First Year Collection. They are in excellent condition and are in their original shipping containers with verifiable numbers and paperwork. They were named Bundle of Joy, Sweet Dreams,Sitting Pretty and Play Time by their creator.